Is Scot MacLoughan giving us his best effort? I have a sinking feeling that he is still battling his demons and that we aren't getting his best effort. Now maybe he salvages the ship. Maybe he ships Cousins off for a boatload of picks. Maybe the 2017 draft nets the nucleus of a perpetual playoff contender. I certainly hope so, and I like his historical acumen for finding talent. I just know what addiction looks like and the toll it takes on organizations. We are only 4 years removed from the ESPN article detailing how he managed his alcoholism with Light Beer....and only 3 years removed from his wife accusing a reporter of gaining access via sexual favors. And now Jed York throws shade. Can't speak to his recover but I hope he's doing well with that. What I can say is I think Scot feels handcuffed. Taking a GM job and not being able to bring in your own hand picked GM or QB is tough. In my opinion that is the very reason neither the coach or qb has been extended. Scot wants to be able to remake this team his way and the better those two perform the harder it is for him to do things his way. One of the rules of thumb are you wait 3 years to judge a draft. It's way early to say one way or another on our last one. Also the 2 following seasons after he comes in we end with winning records, largely because of his influence on personnel and FO decisions. A lot of fans have very short memory as to how bad things can be. If Scott weren't here Jay would likely be fired after 2 seasons because we'd have given Robert Griffin a 100 million dollar contract extension, and we'd have shipped off Cousins to Cleveland for a 6th rounder a couple years ago when Kyle was there. Plus most likely the last 2 years we'd have combined for 6 wins total. Any Mike Pettine discussion on this board would have been as a HC candidate instead of as a DC. I'm glad to know that alcoholism can be diagnosed by a video inspection of a person's complexion. I'm sure the medical community is thrilled with this break through. Wow. Umm...I gotta go with Giles here. 1. I am the last person qualified to comment on alcoholism or recovery, physical symptoms, etc. I just don't have experience with that, so I'd never disrespect anyone who has been through that hell with some kind of half-assed diagnosis. 2. There is no way on earth that any hard conclusions can be made of the 2016 draft class. WAY too premature to even go there. Everyone is disappointed with the Doctson situation, but it was a quality pick. No one could have foreseen what has transpired, and that in no way reflects on Scott. Just crappy luck. If Josh isn't ready full-go by OTAs, then it's time to start crapping bricks, but this isn't on Scott. Cravens looks like a good pick, and I think he'll look better with better coaching. Fuller spent the entire year playing out of position and all the while coming back from a knee injury that made him rusty. Just about every talent evaluator agrees it was a solid pick and great value. Scott shouldn't get any flack for that pick. I will say that IMHO, Preston Smith is a bust until he proves otherwise. He's only had a handful of good games. However, this could also be due to subpar coaching and talent on the D Line. This could be a make or break year for him. Matt Jones is unquestionably a bust, and possibly Scott's worst pick. Most agree that Jones was taken at least a round too early, and had durability issues dating back to college. But Scott said in his opening presser that he possibly gets more picks wrong than he does right, but when he's right, he's really right. 3. The Kirk issue is a slight distraction but you can't dump all that on Scott. The organization did the right thing, IMHO, but not signing him to a long term deal last year. There were still a ton of questions, and this FO did not want to be tied to the hip financially to a QB who was a one year wonder. I totally respect that. This offseason is different, and Allen has said they want him here long term. It isn't just Scott. If they don't sign him this offseason, then that's a horrible reflection on the FO, but I don't think this is going to be an issue. 4. We don't have the best FO in football, but we don't have the worst either. And they aren't stupid. I don't believe the coordinator searches were haphazard at all. I don't get that feeling in the least. Now, I do not like the Manusky hire very much because his defenses have always been meh, and I tend to agree with Rich Tandler that he was their C or D choice, but you can't manufacture a good coach just because you need one. There were only so many guys out there, and they clearly wanted a few guys that they just didn't get. There are others that really like the hire, and we're just going to have to see. What I have read on Manusky is that he is as good as his talent base. That is in no way a ringing endorsement (you can say that about a lot of average coaches), so it WILL be on Scott to build us a top 10 or top 5 unit. If he doesn't we aren't going to win jack, and he knows it. On offense they wanted to keep some cohesion, and so they elevated their new coach. You can't really complain about this because Gruden is going back to calling games. If we cannot get much better balance this year (something Gruden loves to talk about wanting), then we will come up short again, and it'll be all on Gruden. He'll catch hell for it, as he should. He's the one pulling the trigger on plays. Blame and Praise go directly to him. I like that. 5. Yep, we do need talent on D. And we need PLAYMAKERS; guys who actually instill fear into the offense; guys that you have to game plan around. We do not have one person on defense that fits that bill. We have enough "try hard, high motor" kind of guys. It's time for Scott to find those defensive stars that make the pro bowl more often than not. If he doesn't, we won't win anything. Scott knows this. But understand that when Gruden was hired, it was expected that the offense was going to be build first because of everything we invested in Robert. That makes sense. (Now, I believe in building defense first, but our situation dictated we see value from all the picks that went into getting Robert). Our offense is not even close to being a finished product though. We are still a stud LG and maybe C away from being a line that can hold our own against anyone. We get manhandled by good defensive fronts. And if we want to take another step, this HAS to be remedied. Scott knows this. We also don't have much at RB. This has to change, too. We also have to solve the RZ problem, which is also keeping us from taking that next step. But I have read from Tandler and Keim countless times that this FO is well aware that if we don't infuse the D line (and then LB and S) with some major young talent, then we're not going to take another step. Scott will work on this in the next few months, but remember that he can't control the level of talent available in FA. There just may not be anyone talented enough that is worth our money. He's going to look to the draft first and foremost to solve our issues. Now, I'm on record as saying that it is time for him to get over this trade down stuff and actually get aggressive and go get a stud that we really want that otherwise wouldn't fall to us, should the situation present itself. Maybe it doesn't work out that way, and a guy we love falls to us. But no more trading back to accumulate a bunch of mediocre late round picks. WE NEED STUDS, no question. I don't believe Scott is frustrated at having his hands tied. He was quite forthcoming in his presser and subsequent interviews after taking the job that he was happy not having total control. I think it was a good fit (at the time) for him to ease his way back in after being out of football for a little bit. Now, I am a MAJOR proponent of having the GM be the guy with the plan for the team. 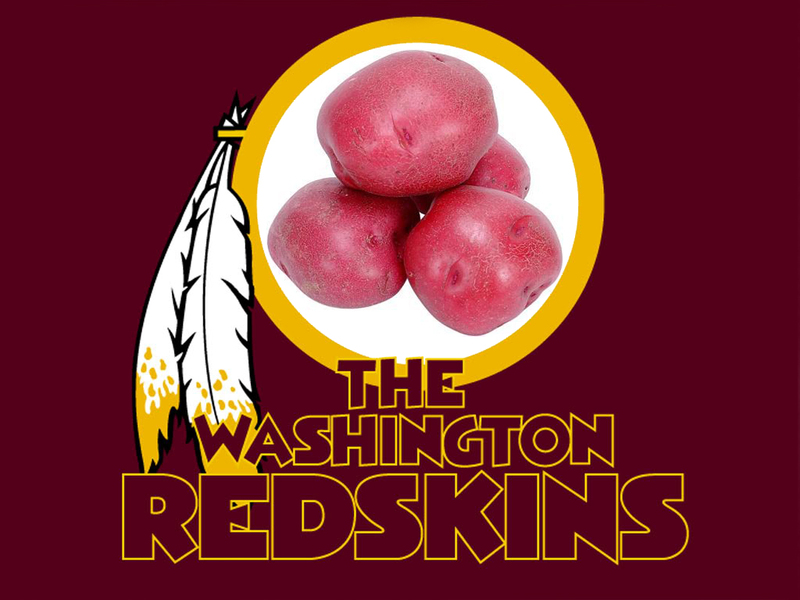 For too long the Skins have employed this "too many cooks in the kitchen" method that never pays off. But Scott was willing to accept that Jay was already here, and I think he genuinely likes Jay. IMHO, it isn't going to work out with Jay. I don't believe he is a good enough coach (I pray I'm wrong), and that'll bear out over time the way Norv did. I think Jay is a bridge HC: the kind of guy who can get a team to be better than it was, and respected and play hard, but just isn't a good enough coach to be the ultimate answer. If/When Jay is let go, Scott will have a major input on who the next coach will be along with Bruce Allen. That, IMO, is going to be much better long-term for the team. Gotta give Scott more time. He hasn't been as good as I would have liked so far, but he's been light years better than we've had. If the overall consensus regarding Scott two years from now is still lukewarm, then it is certainly time to worry. I am hoping he revamps the pro scouting department this offseason because it's horrid. However, I've heard no rumblings that this will take place. Hang tough with regard to Scott for a few more off seasons. - Scot, to my knowledge, hasn't exactly brought in 'his guys' to augment our front office scouting (and per the FA misses last Spring and in Spring 2015 already mentioned, he minimally seems to need a lot of help with 'pro scouting' inputs regarding decisions to pay guys from other teams to come here - either via trade or when they're FAs). I'm not crazy about the Doctson pick, but the jury is out on that one - no matter how 'bust-like' some may fear it to be. As for Sudfeld, meh - decent youngster but I think has very limited upside. So I'm nowhere near as dismissive as you are on the potential contributions from the 2016 DRAFT, and most here - and elsewhere - consider the 2015 DRAFT (save for the Matt Jones' pick) to be damned good. I have red face. But, it's due to me having sh*tty skin and a temper. ...that's what I said GF...but a visual combined with tinged yellow eyes due to Bilirubin abnormalities can be a cardinal sign of alcoholism especially if you see the person quite often...I have a bilirubin fluctuation but not a worry from the doctors...thank God I didn't get the alcoholism gene...but I love me some beer! Do you wonder if maybe some of these signings that didn't/haven't worked out, might have done better with a better coaching staff? Not that I expect any of them would have suddenly become Pro Bowlers or anything, but better than they were. Paea in particular. I thought he was a solid value signing that did nothing under Ackey, but I'm thinking maybe we would have seen a better player if Tomsula had been working with him instead. Paea perhaps but not the others. Very hopeful Manusky and some horses added will help a lot. Still want Scot to add studly pro scouts. Mike Lowry - SMAC is the king of all things football at Redskins park. Allen is the symbolic buffer for Snyder and the name / trademark issue...and a part of the FO structure. But SMAC is the definitive football ops guy: building roster talent via the draft and keeping the nucleus intact with the CAP and what to allocate where. Inheriting Gruden (and his brother to some degree) is the only handcuff - and Jay has earned his keep thus far. SMAC as a talent curator has been poor (FA busts) and he is batting .500 on his drafts. So overall he gets a C so far. Passing, but barely. Which leads me to the facts that he physically looks like sh*t and has been pulling back from the press for the better part of a year. Then York from SF states so and so is like SMAC - "without the drinking problem." Which seems in present tense. A drinking problem is always "present tense" because it never goes away. And with the poor talent being assembled at Redskins park, I am left to wonder if SMAC is letting his alcoholism affect his work? We can ask that as fans - right? I WANT the guy to succeed, but as a purchaser of a product, I ain't happy. I am going to ask questions. Welcome to the off season folks. We won 9 games last year and 8 games this year with these "sh*tty players", go figure.